Only three days after her last chemotherapy treatment, Joanne Rivest of Dartmouth, Nova Scotia participated in the Ovarian Cancer Canada Walk of Hope for the very first time. The Walk is the most powerful event of its kind in Canada. Taking place in over 35 locations this year, it brings together people who are dedicated to changing the course of ovarian cancer. Joanne was one of the last participants to cross the finish line in 2013, but she did it with pride. The very next year, she was one of the first to finish. When walkers across the country come together at various parks, community centres and even along main streets, a sea of teal can be seen far and wide representing the bond of sisterhood and shared experience. During treatment, Joanne got to know a number of women who she frequently saw in the hospital waiting room. She often wondered why she didn’t see these women at the Walk. 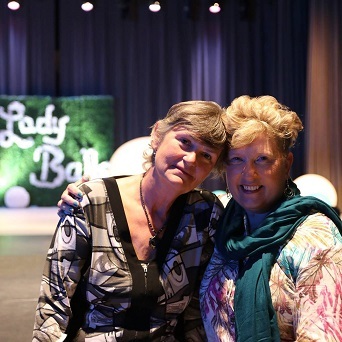 Joanne knew there were more women out there living with ovarian cancer, and she wanted to connect with them. Joanne admits that she is not a shy person. She attends the Walk year after year on a mission to celebrate not only her journey, but the journeys of others living with ovarian cancer. 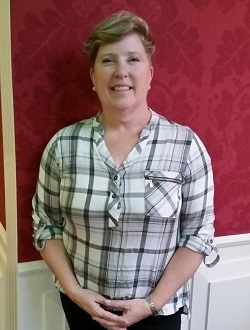 If you have been diagnosed with ovarian cancer or are participating in a Walk for the first time, Joanne invites you to introduce yourself to your fellow Walk participants. They would love to get to know you. Join the Walk to empower and support the women and families affected by this disease. The Ovarian Cancer Canada Walk of Hope takes place in most locations on Sunday, September 9, 2018*. Register today and RSVP to your Walk Facebook event page to see who is walking with you. *In Charlottetown, PEI; Yarmouth, NS; and Ajax, ON the Walk occurs on Saturday, September 8, 2018.